Give me a choice and I’ll take A Midsummer Night’s Dream over Hamlet every time. Any fool with steady hands and a working set of lungs can build up a house of cards and then blow it down, but it takes a genius to make people laugh. I think I am a pretty good seat mate on planes and trains. (Automobiles,too.) I don’t take up more than my share of the available space, I don’t initiate inane conversations, I don’t listen to loud music with improperly inserted earbuds, and I definitely do not carry and eat bags of fast food. If anyone has an explanation, please let me know why someone would sit at an airport gate, clutching a bag of greasy McDonald’s burgers and fries, and then wait to eat the cold, smelly food until an hour or so into the flight. However, on a recent flight, I think I really annoyed the grumpy man sitting next to me. My offense? I laughed, and more than once. The first time it happened, I chuckled softly and he shifted in his seat and looked slightly irritated. The irritated look progressed to a lengthier glare, and finally he connected his headphones to his laptop. No, he did not appear to be outlining a plan for combating terrorism or putting the final touches on an important scientific presentation. He was playing solitaire. 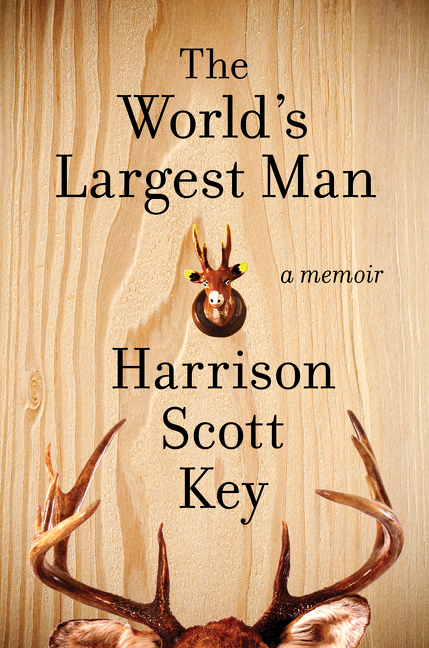 The book that made me laugh — again and again — was The World’s Largest Man, a memoir by Harrison Scott Key about his complicated relationship with his father. It’s Key’s first book, but he has published essays in many magazines. According to his website, Key writes with the “comic verve of David Sedaris and the deft satire of Mark Twain or Roy Blount, Jr.”, but if we’re going to make comparisons, I’d say he is more like a cross between Bill Bryson and Pat Conroy. Why couldn’t I have been born with no arms? I knew, though, even if I had no arms, Pop would have found a way for me to hunt, rigging complicated pulley systems into trees and hoisting me up in a sack, then dropping me on the animals with a knife in each foot. I was not encouraged, generally, to go grocery shopping with Mom, because Pop knew that if you sent your sons to the grocery store too much, they might learn how to locate water chestnuts, which could lead down a dark path toward vegetarian stir-fry and the wearing of aprons and eventually marrying someone named Cecil . . . How could hunting deer ever compare to hunting vanilla ice cream, which is generally docile and will let you pour syrup on it without running away? Although Key is a gifted humorist, The World’s Largest Man is not a nonstop laugh riot. At its heart, it’s a story about love and acceptance. Much of the book is heartbreaking and poignant. Key succeeds in showing us the contradictory aspects of his father’s deeply flawed personality — a personality that turns out to be a greater influence on him than he had ever imagined. One of the best things about humorous books is that they lend themselves to rereading. Sometimes it’s comforting knowing that what you are about to read will tickle your funnybone. “There aren’t many funny bits in Mr. Tolkien either,” Matilda said. “Do you think that all children’s books ought to have funny bits in them?” Miss Honey asked. The first “grown-up” funny book I remember reading was Auntie Mame, by Patrick Dennis (a pseudonym). I found it on my grandmother’s bookshelves, and it made me laugh and laugh. It was out of print for more than 50 years, but it was reissued in 2001 and remains available. A lot of parents and teachers turn their noses up at Dav Pilkey‘s books, particularly the Captain Underpants series. That makes me sad, because my children loved Dav Pilkey. Guess what — kids and adults like different things. For example, some of the activities I remember enjoying as a child were throwing rocks in puddles with neighborhood children to see who could make the biggest splash . . . spinning in circles until I got dizzy and fell down . . . dressing my dog in pajamas. If Pilkey’s books had been available, I’m sure I would have laughed myself silly over them. What 7-year-old could resist Captain Underpants and the Terrifying Return of Tippy Tinkletrousers, or Captain Underpants and the Perilous Plot of Professor Poopypants? A little potty humor ever did anyone any harm, and I think Pilkey shows kids that reading doesn’t have to be a grim and serious pursuit, accompanied by timers and worksheets, but can be entertaining and laugh-inducing. 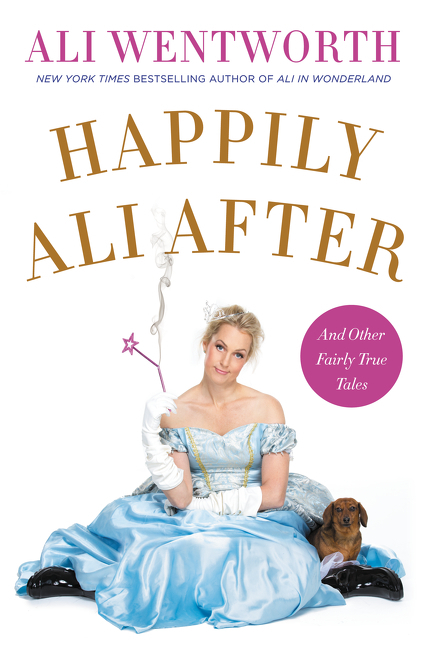 Comic actress Ali Wentworth has published one humorous memoir, Ali in Wonderland: And Other Tall Tales, and has another one, Happily Ali After: And Other Fairly True Tales, coming out in June. They’re perfect light reading, full of wickedly witty anecdotes about Wentworth’s growing-up years, career, and current family life. There’s an old Weight Watchers saying: “Nothing tastes as good as thin feels.” I for one can think of a thousand things that taste better than thin feels. Many of them are two-word phrases that end with cheese (Cheddar cheese, blue cheese, grilled cheese). So I told her why. Because if I tell the story, I control the version. Because if I tell the story, I can make you laugh, and I would rather have you laugh at me than feel sorry for me. Because if I tell the story, it doesn’t hurt as much. Because if I tell the story, I can get on with it. Black bears rarely attack. But here’s the thing. Sometimes they do. All bears are agile, cunning and immensely strong, and they are always hungry. If they want to kill you and eat you, they can, and pretty much whenever they want. That doesn’t happen often, but – and here is the absolutely salient point – once would be enough. Buckley writes in a conversational style replete with deadpan asides. Perhaps he spends hours meticulously crafting each bon mot, but what he conveys in his work is the image of an assured writer amusing himself at the keyboard, expansively waving the reader over to join in the fun. What are your favorite humorous books? 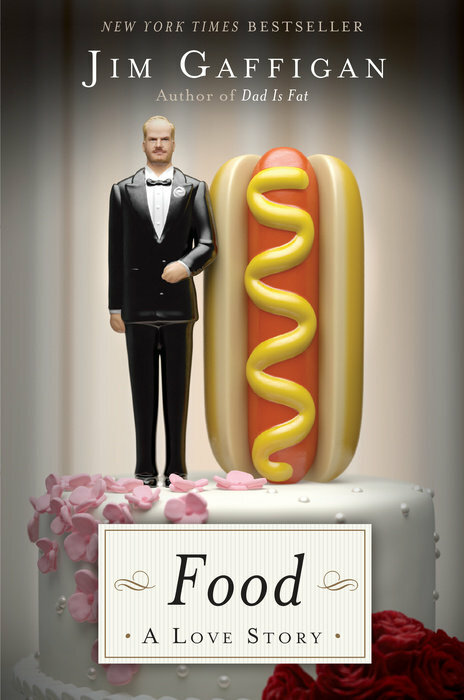 I read (actually listened to) Gaffigan’s first book and didn’t love it. I think he’s better as a stand-up comedian. When it comes to funny, I think of Douglas Adams and Terry Pratchett. I’ve heard Gaffigan do stand-up and he is great — but I really liked his books as well. Maybe because I’ve heard him I can imagine his voice when reading the books? My funny money is on Michael Perry. He doesn’t write humor books, but his books are always humorous. He describes rural Wisconsin life to a “T”. Oh, I’d forgotten about him! I really enjoy his books. I sat next to him at a booksellers’ conference a few years ago and he was very funny in person as well. 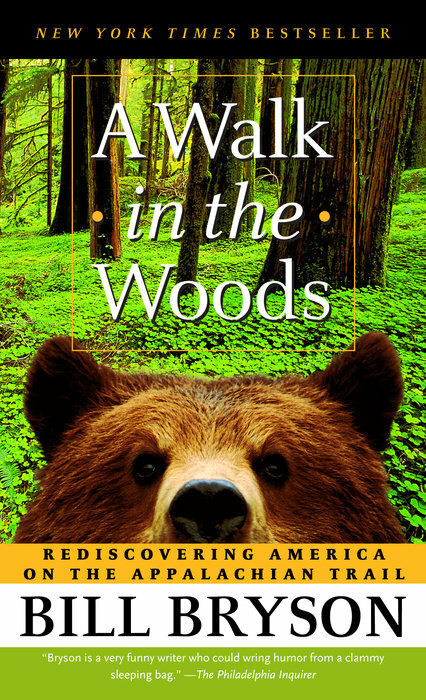 The beginning of A Walk in the Woods is a good laugh. I also think Nora Ephron’s two books of essays I Feel Bad About My Neck and I Remember Nothing have some big laughs in them. I almost drove off the road listening to an audio once. I loved both of Nora Ephron’s essay books — she is brilliant!. Sounds like they’re dangerous to read while, driving though! 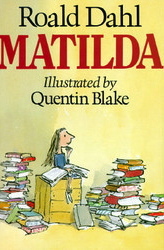 I love Matilda, one of my favourite childhood books! Isn’t Matilda the best? I love your list of female Harry Potter characters! Yes she is, still among my favourite characters from books even now. Thank you! I laughed through I Love You Beth Cooper by Larry Doyle. The illustrations made my sides ache. An older book which I think is very funny is Lucky Jim by Kingsley Amis. It involves a misanthrope and it’s his attempt to fake, smarm and sneer his way into the higher echelons of England. I think the man who sat beside you will not appreciate that you are trying to spread the contagion of humor :).